makes it easy to enjoy your smoothie on the go! Create your own tea, or try one of Iamtra’s organic tea blends—Lemon Happy; Peppermint Positive; Mint Safe; Chamomile Joyous; Ginger Present; or Hibiscus Peace—add it to your Homemade Healer Tea Time Jar, and enjoy tea time—any time. Instead of slugging sugar and other junk, make your own vitamin water and sip it from your Homemade Healer Vitamin Water Jar. 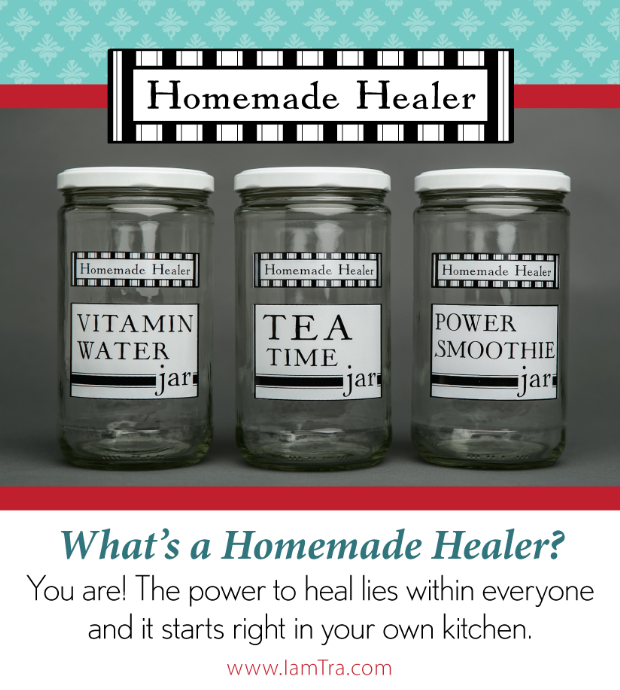 All Homemade Healer Jars come with recipes and tips for getting the most out of your jar.